The Radio Times Guide To Films, now in its fourteenth edition, is one of the only comprehensive annual film guides still available in print. Halliwell's Film Guide was put to rest after its awful The Movies That Matter edition. The Time Out Film Guide was cancelled last year. Leonard Maltin's annual guide has been split into two editions: a Classic Movie Guide and The Modern Era. VideoHound still publishes its phone-directory-sized annual Golden Movie Retriever, though it's limited to films released on video. 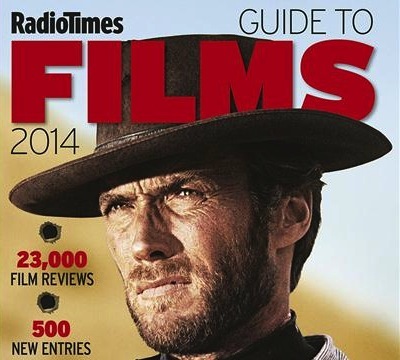 Like Time Out's reviews, the Radio Times Guide To Films entries are all available online for free, so it remains to be seen how long the Guide will continue to be printed. Clearly, though, the publishers feel that there's still a market for such a mainstream and traditional book, perhaps due to the older average age of Radio Times readers. The Guide's cover photo - Clint Eastwood in a still from A Fistful Of Dollars - is another clue that the Guide is catering to an older demographic.